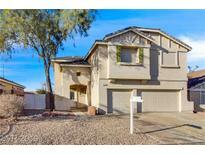 Below you can view all the homes for sale in the La Entrada subdivision located in Henderson Nevada. Listings in La Entrada are updated daily from data we receive from the Las Vegas multiple listing service. To learn more about any of these homes or to receive custom notifications when a new property is listed for sale in La Entrada, give us a call at 702-323-5903. Cute Laundry room. Large room sizes. MLS#2085236. Rooftop Realty. 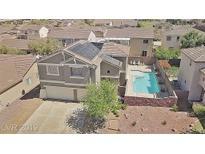 No HOA, Easy Access to the 215 and area attractions. MLS#2083224. eXp Realty. Fresh paint, granite counters, stainless steel appliances all make this home perfect for you! MLS#2082813. Marshall Stearns Real Estate. Great backyard w/patio & side parking big enough to fit boat/RV. No HOA. MLS#2073049. GK Properties. Upstairs you will find an over sized loft to get creative with & build the space of your dreams! Move In Ready! MLS#2056819. Robinson Realty & Management.